We are in Europe. The EU. One of the more progressive and prosperous societies in human history. Just 3 miles outside a quite nice, small city in central Romania. 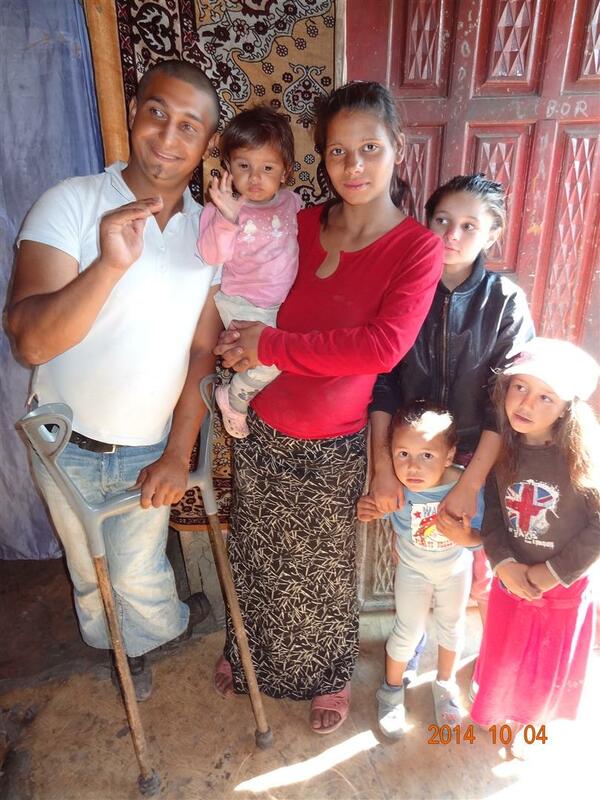 We are in a Roma community of about 400 people living in ramshackle dwellings on a dusty road leading up to the hills off the main road. The people, particularly children, flock to see visitors… most people (apparently Romanian, certainly not Roma) driving down the road just put the pedal to the metal and breeze through as quickly as possible. Given that children are often playing in the dirt right alongside the road, it’s surprising that the children are not frequently struck by cars, but no one –drivers nor kids nor parents – seem concerned about the risk. 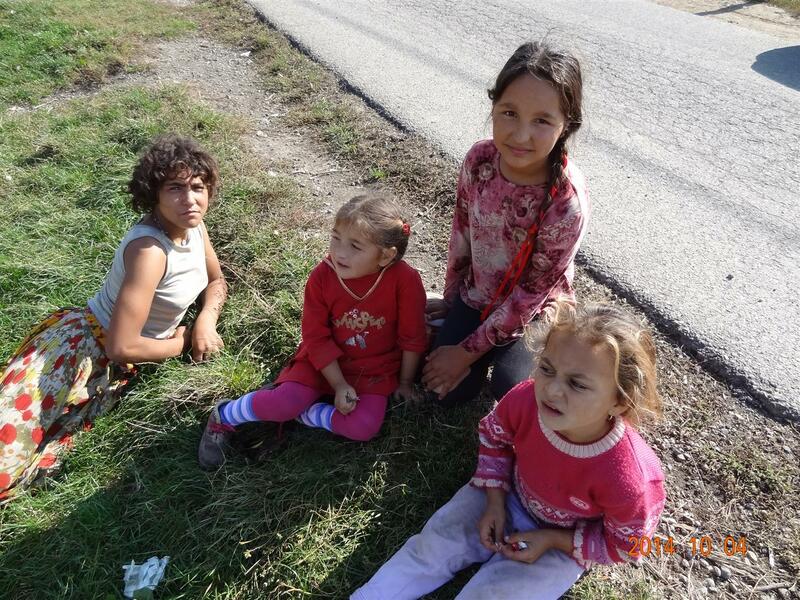 These are Gabor gypsies, among the lowest of the low… no one in the village has ever made it as far as 8th grade. A Roma friend of ours, a pastor’s wife, connects with some of the kids, and they, mostly girls, start singing Sunday school songs in the road, while a small band of pre-teen boys sit watching on the embankment, trying not to look too interested. 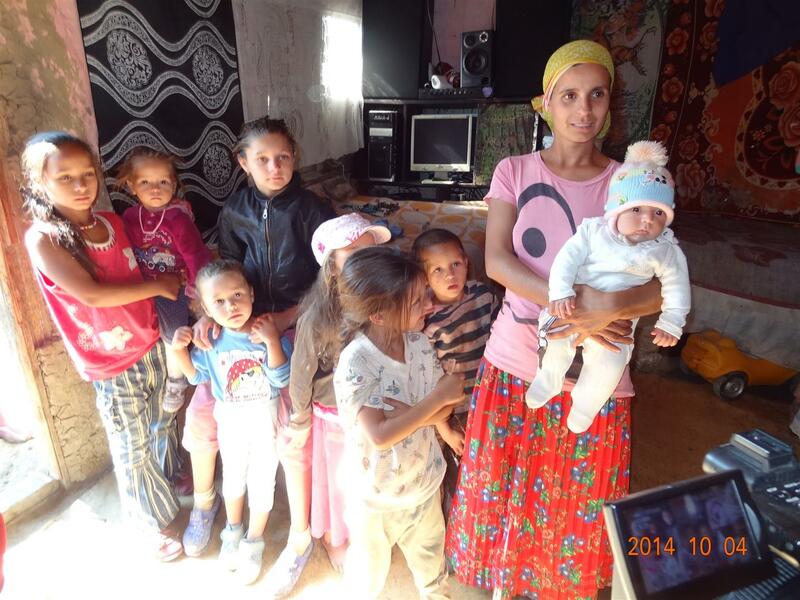 One of the people most interested in our group is a young mother carrying a small baby. She tells us that she is fifteen; talking to her, it is clear that she is pregnant with her second child. Her neighbor is 22, and introduces us to her five children. All of these young lives so near a thriving city… but, given their state of life and the barriers – visible and invisible, internal and external – that stand between them and “Europe” as we know it… it might as well have been a million miles away. From up the slight slope of the dirt road a man energetically approaches us in a wheelchair – an egregiously “modern” thing to see – and enthusiastically introduces himself. He seems healthy, except that, as he says, his legs “don’t work right.” He invites us into one of the “huts” in which the families live – he’s apparently a relation of the pregnant teenage mom. We are greeted with a smile by another teenage girl sitting in the shadows on the bed, just inside the door. She apologizes for not being able to get up – her legs, as well, don’t work right, nor she says, do her father’s and those of two of her three siblings. In addition to this widespread disability (polio?) there are evident and widespread indications of many forms of disability, particularly among children: intellectual as well as physical, visual, paralysis, etc. The family shows us around the “house,” the beams of which are broken and falling in, the roof of which is clearly quite leaky. Knickknacks and cheap stuffed animals litter the living space; on the bed lay circuit boards from “vintage” items of electronics which are in various stages of being disassembled. We emerge from the semidarkness of the home into the bright midafternoon sun, filtered through the dust thrown up by yet another passing car. We walk a hundred yards or so up the hill toward the edge of the settlement, along the row of houses. Some, though not many, show signs of recent attempts at repair and patching. In front of one of the homes, at the side of the road, surrounded by a homemade wire fence, is what passes for a playground… a pile of dusty dirt on which a few discarded toys – truck and cars, dolls and ragged stuffed animals – lie strewn about. Four children, who would have been in first or second grade if education were part of their lives, play animatedly together on the dust pile. A man riding up the hill on a bike grabs their attention, and they start shouting, running up the hill in loud pursuit. Actually three of them do. The fourth one, a slim, dusty, pretty girl whose clothes seem barely able to stay on her wiry body, starts crawling like a marine across the dirt toward the fence. Reaching the fence, she pulls herself up by her arms and begins to slither along the fence line, legs clearly nonfunctional, in an attempt to keep up with her playmates. Just another day for them… in the middle of 21st century Europe. Our pastor friend has been sharing the gospel and his heart with this village. Of the 400 people that live along this road, 100 of them have become believers in Jesus and have been baptized. They have no place to gather, to meet, to worship together. The kids singing Hallelujah on the side of the road as the Audis and BMWs zoom by is as close to a “church service” as they get. The pastor’s dream is to buy a piece of land alongside the community and erect a building. There is plenty of land around; they would just need approval. He is working with others to collect materials and would like to help the local people build a building that would host a church and an after-school program. (These two endeavors are inextricably linked in the dreams of every Roma pastor with whom we spoke.) He even has a name for the place they envision: “The House of Bread.” I wonder whether he knows that in Hebrew, that’s “Bethlehem” – the place where the presence of God came into our world to bring salvation, and to travel a road of suffering and rejection. I can tell, as I look into his eyes and formulate the question, that he does.